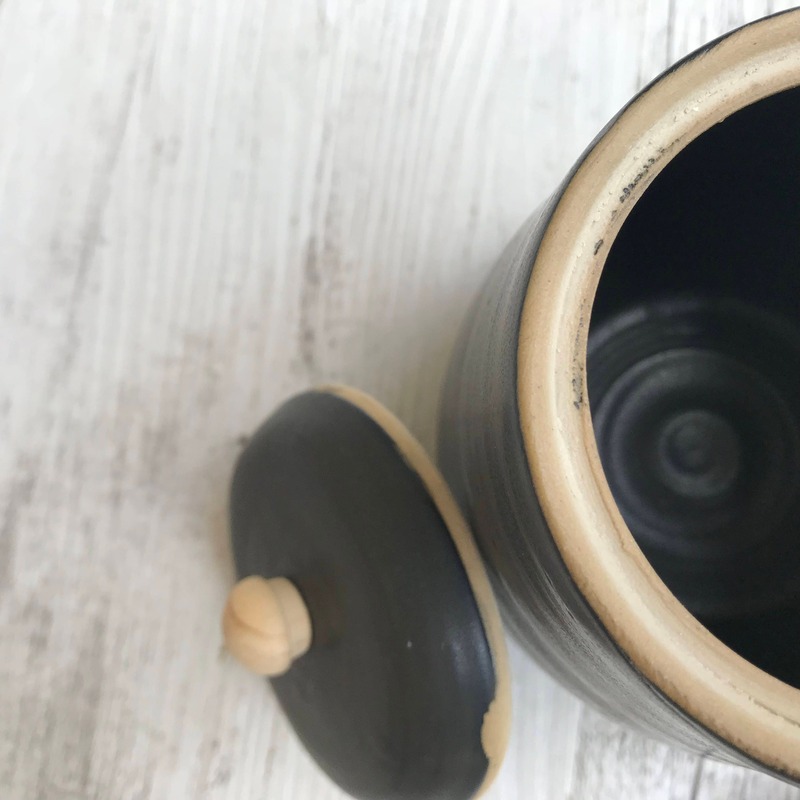 This adorable little honey pot has been handmade on the pottery wheel by Jo in her studio located at the foothills of the Dandenong Ranges, Victoria. 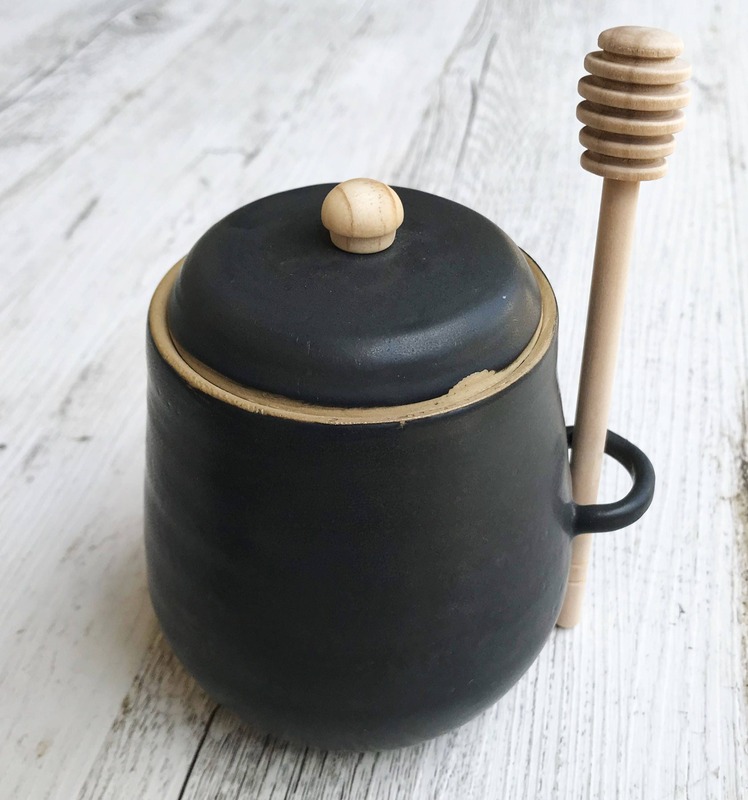 It has been finished in a smart black satin glaze with a wooden knob on the lid to match the wooden honey dipper. 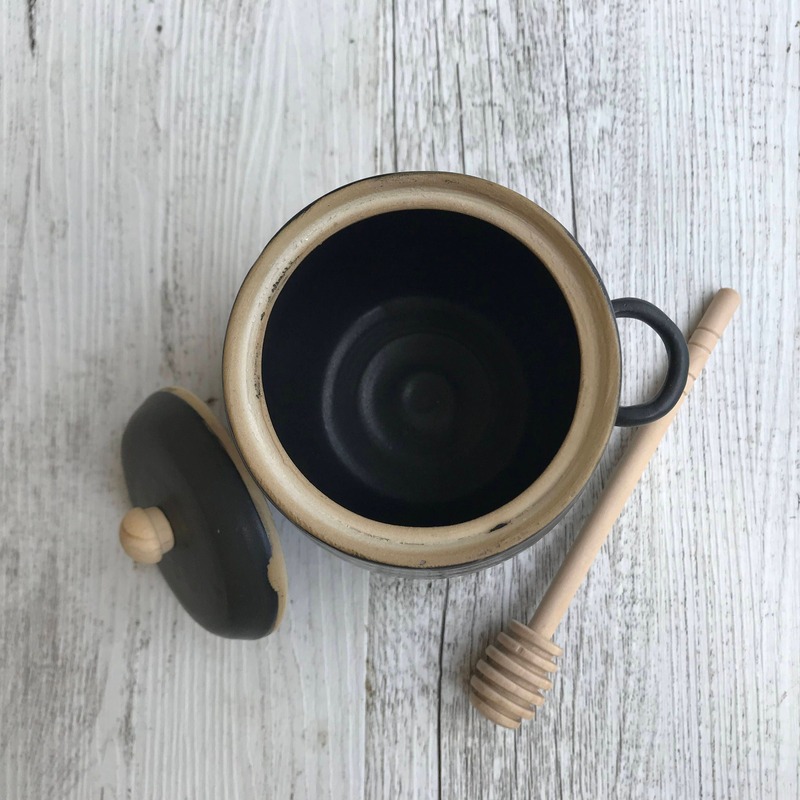 Perfect for crumpets with honey in the morning or used to drizzle honey over a warm comforting bowl of porridge. For more information about this listing please feel free to contact me. PLEASE CHOOSE CAREFULLY AS I DO NOT OFFER RETURNS OR EXCHANGES ON THIS LISTING. 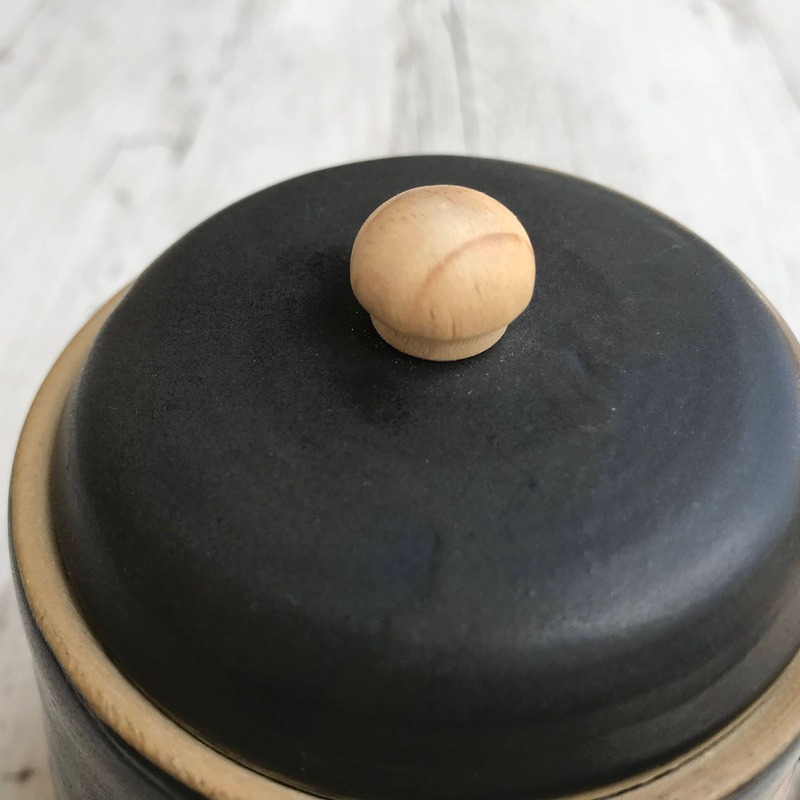 For fun pics and behind the scenes shots, follow @lillypillypottery on Instagram!